This week Marvel announced that Han Solo will be receiving his own five issue mini-series. This story will take place between Star Wars: A New Hope and Star Wars: The Empire Strikes Back. The series is written by Marjorie Liu (Monstress, X-23) and drawn by Mark Brooks (Deadpool). 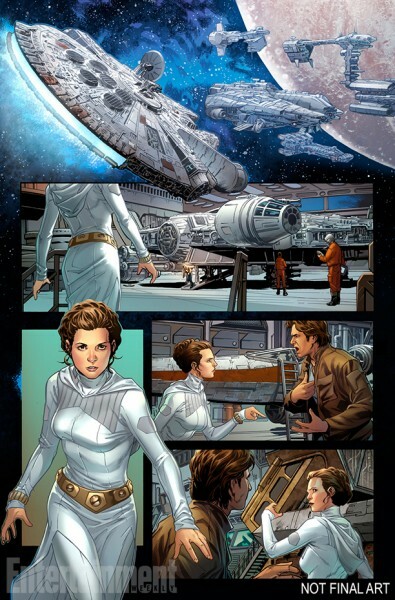 In this mini series Han Solo will have to choose between helping Leia shelter contacts for the Rebellion or enter a starship race called the Dragon Void Race, something he has wanted to enter his entire life. Find out what Han Solo chooses when his mini-series launches in June. Are you interested in picking up this mini-series? Do you think Star Wars has too many mini-series? Let us know all of your thoughts in the comments below.